If you or a loved one has got injured in a car accident in Miami, you should know that you may be entitled to damages recovery for your harms and losses, but to get it you'll likely need to identify the best car accident lawyer in Miami to ask for advice. It is a significant and important choice so you and your family are best served by your exercise of due diligence. At the Wolfson Law Firm, you can call our Miami car accident lawyers for assistance at any time. We are available for free consultations at (305) 285-1115 or our office at 3399 SW 3rd Avenue in Miami. We never ask for fees before recovering financial compensation for our clients. Ignore advertising. Anyone can pay for advertising. If someone has paid for ads it doesn’t mean that their services are good. It means only that they have paid for ads. There is advertising of high-quality and low-quality services everywhere, including legal services. Search online. A quick online search will take you to recommendations by people who have been in the same situation as you. They have used the best Miami auto accident lawyers' services in the past and can help you learn who was the one who helped them get the financial compensation they deserve. When they are happy with the service received, they'll leave nice reviews on the internet. When they are not happy, they'll let other people know about that. If you want to tap into the experiences of people like you, a quick Google search will do the job. Call them. By now you may have found at least one lawyer who fits your needs. Or maybe you have a short list of several lawyers. It is time to call them. The initial phone call will give you a feeling on the lawyer-client relationship you could have with them. It will also give an opportunity to ask some questions. Ask if they offer a free initial consultation. Most often, personal injury lawyers in Miami and all over the United States offer free consultations to potential clients. They don't rush to ask for fees before figuring out if the injured person has any chances for financial recovery or if they need a lawyer at all. That's an honest approach that will let you know about your options at no cost. Ask about fees. Don’t forget to talk about the attorney fees and compare the answers. Keep in mind that the best auto accident lawyers in Miami do not ask for fees before recovering damages for their clients. If they get you compensated, they’ll get paid. If they don’t, you’ll pay them nothing. 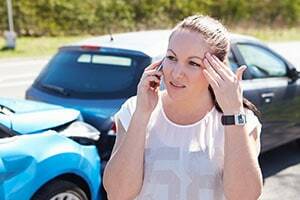 There is a plethora of Miami personal injury attorneys, so if you want to find the best auto accident lawyer in Miami, you'll have to do some work. Take your time – the choice of the Miami auto accident lawyer to represent you is an important decision. Your efforts will pay off in the long run so treat that search carefully. We invite you to consider the Wolfson Law Firm. Call us for free consultations at (305) 285-1115. We won't ask for fees unless we recover damages for you. At the Wolfson Law Firm our Miami auto accident lawyers serve the Miami metropolitan area, including Coconut Grove, Little Havana, Brickell, Kendall, South Miami, North Miami Beach, Downtown Miami, Hialeah, Homestead, Miami Gardens, Hialeah Gardens, Doral, Miami Beach, and all the communities of Miami-Dade County.